Chef’s Gallery – new dumpling and handmade noodle sensation in Sydney! Oh happy days!! More restaurant openings in Sydney!!! 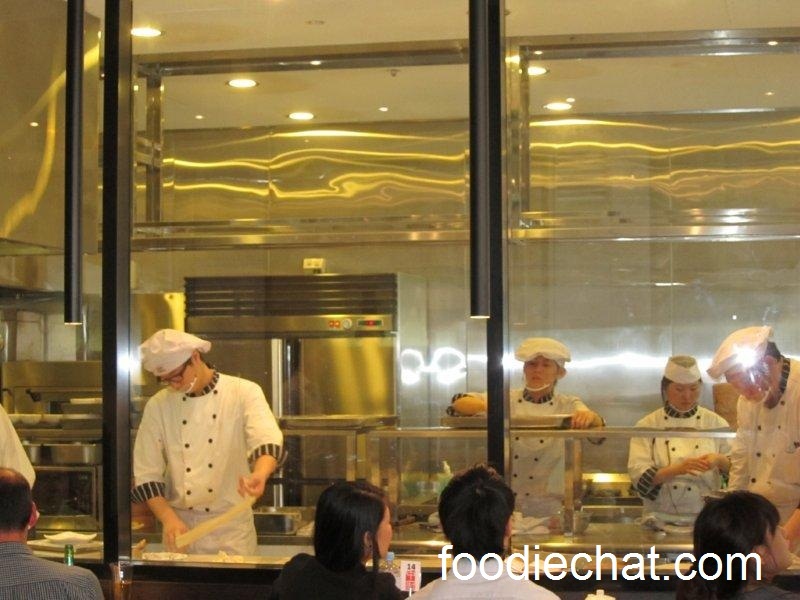 Chefs Gallery – a new dumpling and handmade noodle place, but with a difference. The difference? The elegant room, the perfectly crafted dumplings, the polite english speaking staff, the dedication to cleanliness (no need for the Food Authority here! ), and the eagerness to please. Just a word of warning, vegetarians, not much for you in the following post. And another word of warning: do not read if you are hungry!!! Chef’s Gallery just popped up next to KFC next to the Lumiere building in Sydney. 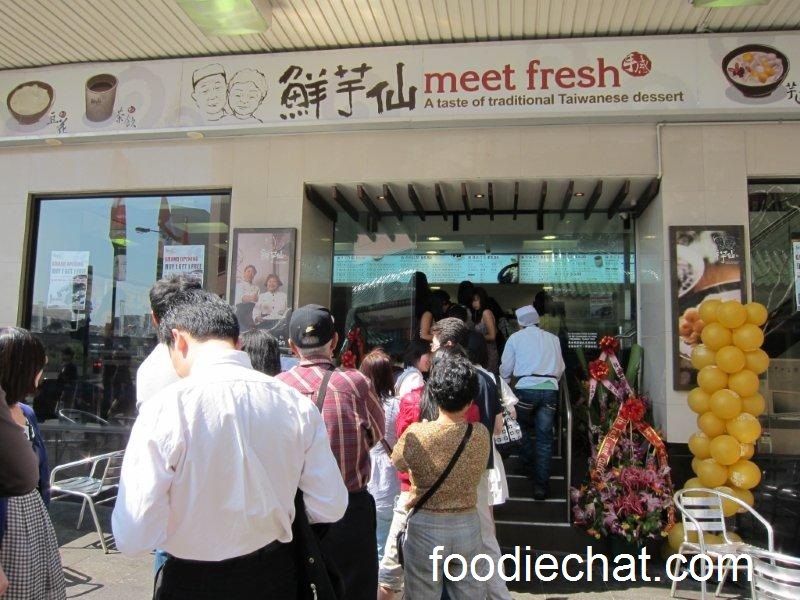 It seems to have offended an earlier Taiwanese dumpling place which apparently has put up a sign on its front door saying that they are not affiliated with any other restaurant in Sydney! Touche! Personally, I think it’s brilliant that in Sydney we now get many different interpretations of Chinese food, which was once just fried rice and sweet and sour pork. 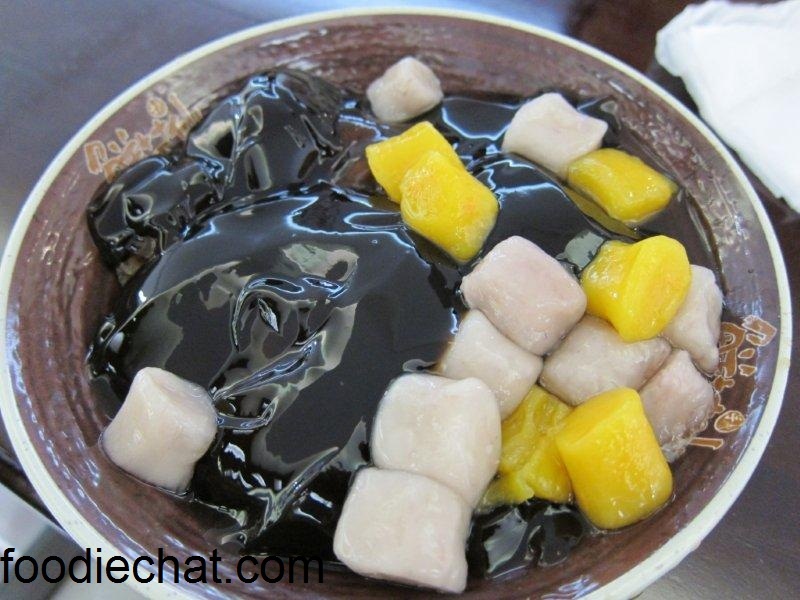 Our palates have developed and we are becoming so open to trying new cuisines from other parts of China. But anyway, back to Chef’s Gallery! The service is quick, but you are not merely a number and not rushed out. 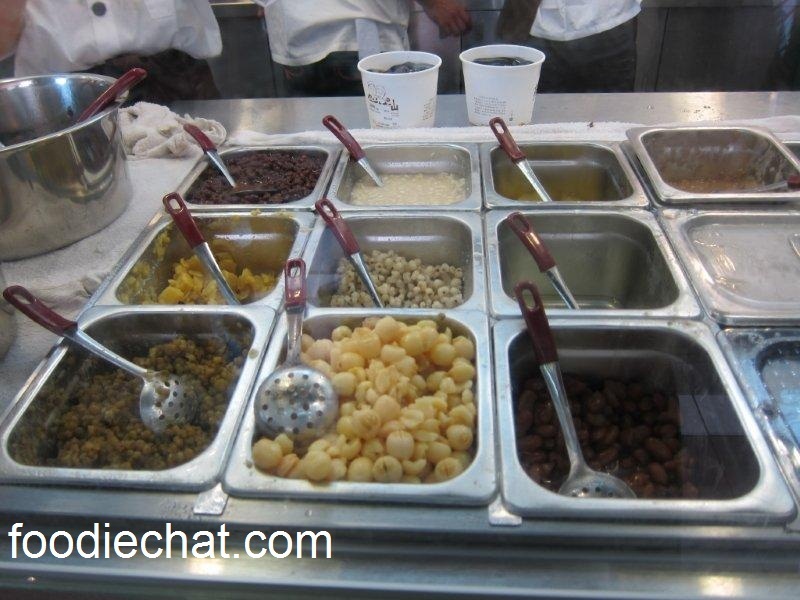 Even the busy staff who are run off their feet (note the long queues) always remember your requests and respond to them. And did I mention clean? Marvel at the open kitchen, where you can watch staff craft their wares. 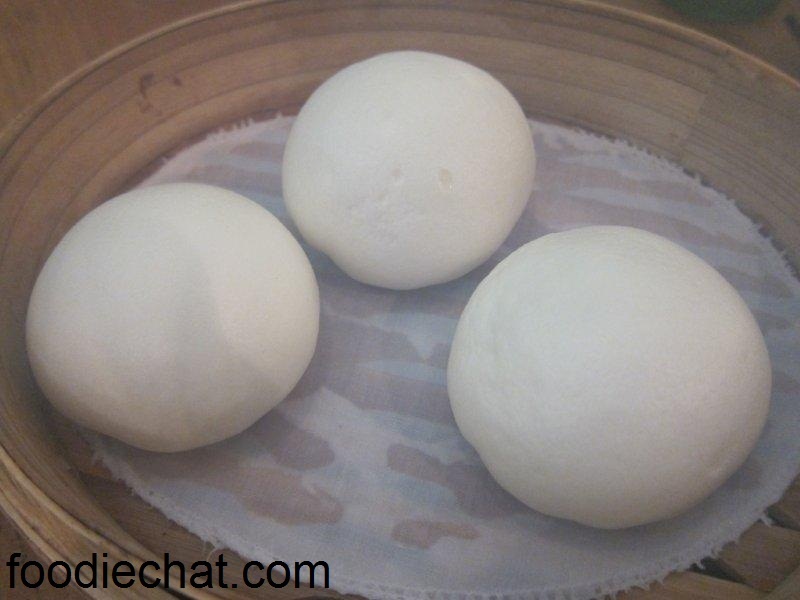 Something healthy to start with – steamed pork and cabbage buns. Perfectly round, with a moist pork filling. 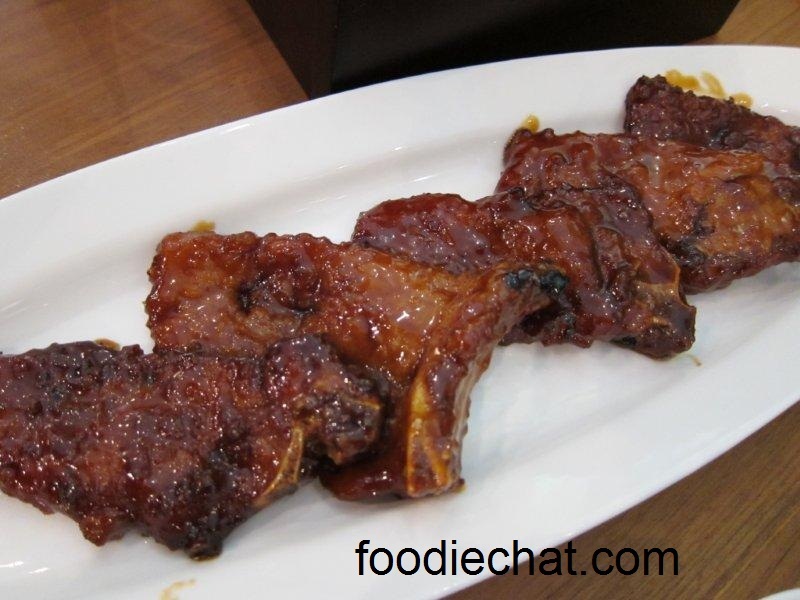 Something substantial – the sweet and dark pork ribs – 5 lip smackingly delicious pieces of lean pork on the bone. It was a favourite of the group! 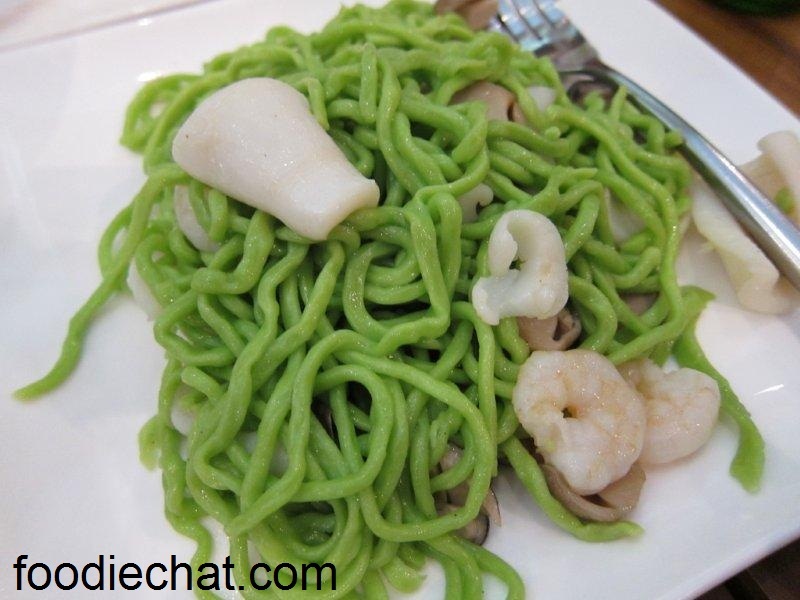 Green noodles – spinach noodles with calamari, prawns and straw mushrooms. I loved the al dente texture, but in contrast to the flavoursome ribs, may do with a bit more salt. 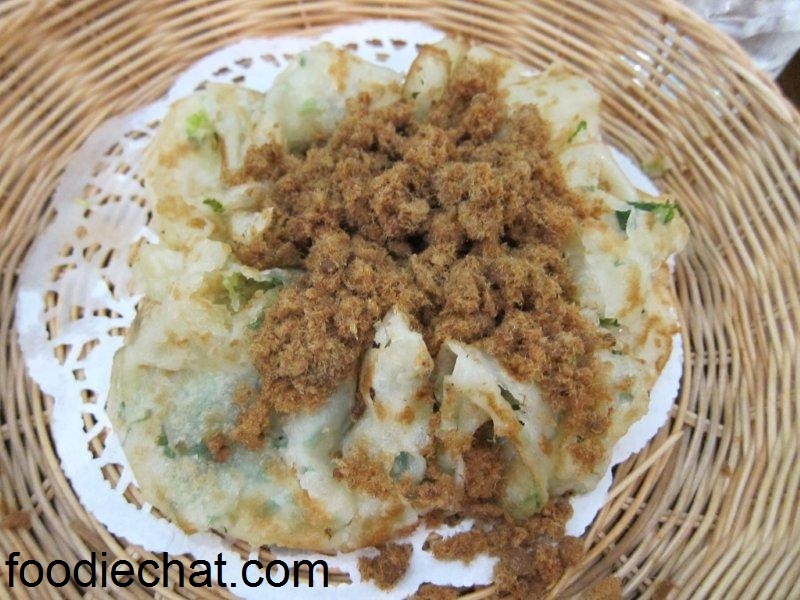 Now this is something that I haven’t tried before – Chinese roti served with pork floss. I loved the sweet pork, it had an interesting light as air texture, and it went really well with the roti that had crispy bits, and wasn’t oily like some of its asian relatives. Yuummm. I stumbled upon this place by complete accident. Walking over to Marigold, I noticed this completely open kitchen with food displayed in the window to make mouths water and pedestrians stop in their tracks. And I certainly wasn’t the only one. 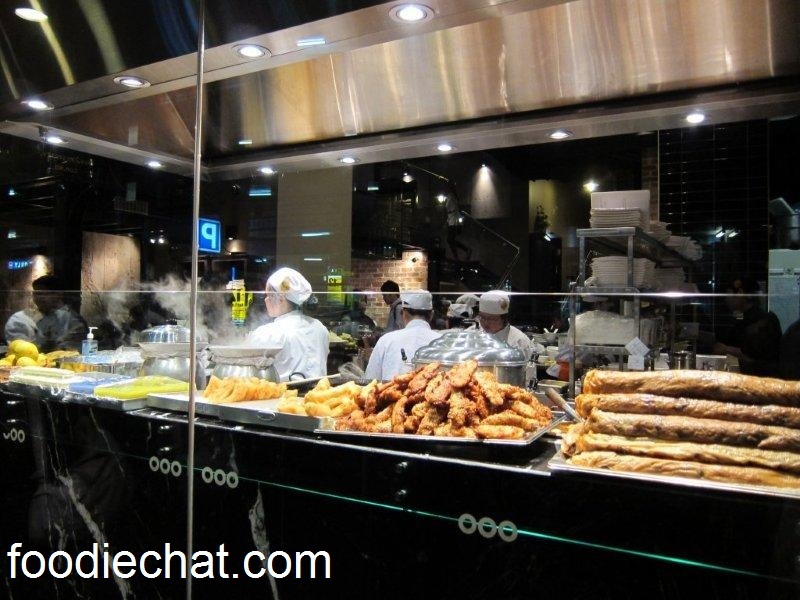 In front of the glass display of food and chefs was a long queue crouching beneath a solitary outdoor heater. Mental note – MUST TRY! Well, try I did. And it was even better than I expected. From the window I actually had no idea what type of food it was – it was definitely Asian – in fact, it turned out to be Thai. Home Thai – as in home cooked style food. But I don’t know whose home has such amazing food every night – maybe a palace? It was so hard to pick what to eat, but guided by the photos in the extensive menu, and sneaking glances at what arrived at other tables, we settled firstly on the Pad Thai. Did I mention this place is cheap??? $10.50!! 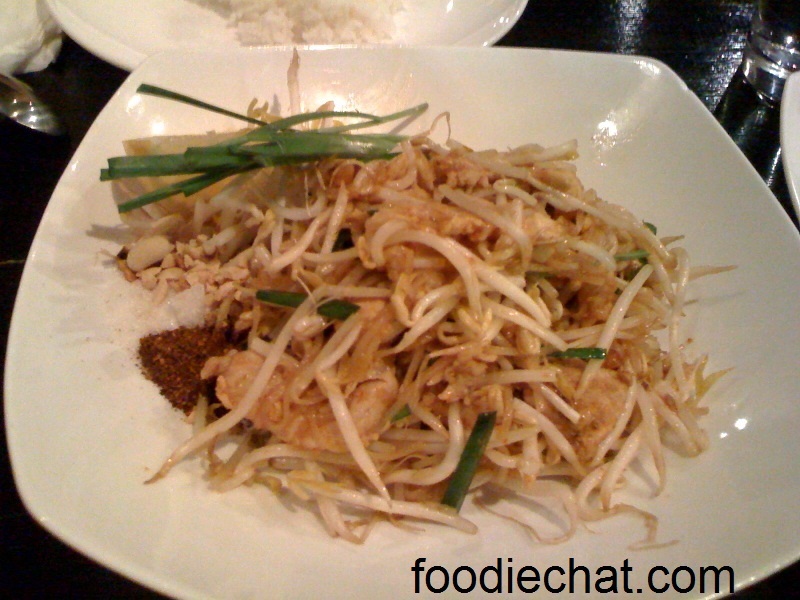 Authentically with sugar, peanuts and chilli powder on the side, fresh and cooked beansprouts. And not oily but also not gluggy! Did I mention the staff all use ipads to take your order? A bit too cute – because it failed on our occasion and the waitress didn’t want to hand write our orders cos it wouldn’t go through. Luckily it went back online after around 10 minutes. Oh , and also the waitresses wear LV side satchels. Were they also from Thailand? 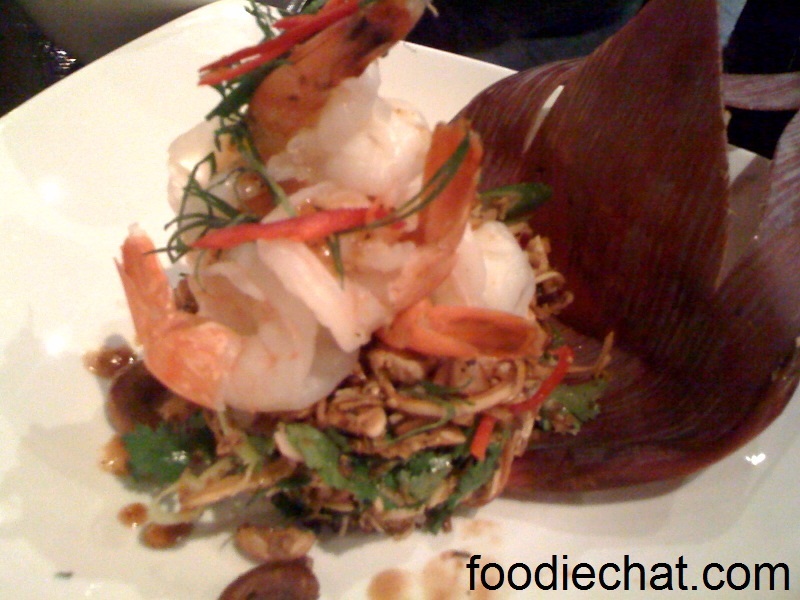 Highly recommended: the banana flower salad, topped with 6 gigantic prawns. It was text book perfect. Crunch, salt, sour, spicy all in one bite through fresh chillis, fish sauce, coriander, peanuts – YUM. And the prawns were so generous. Served on an artfully carved leaf too. 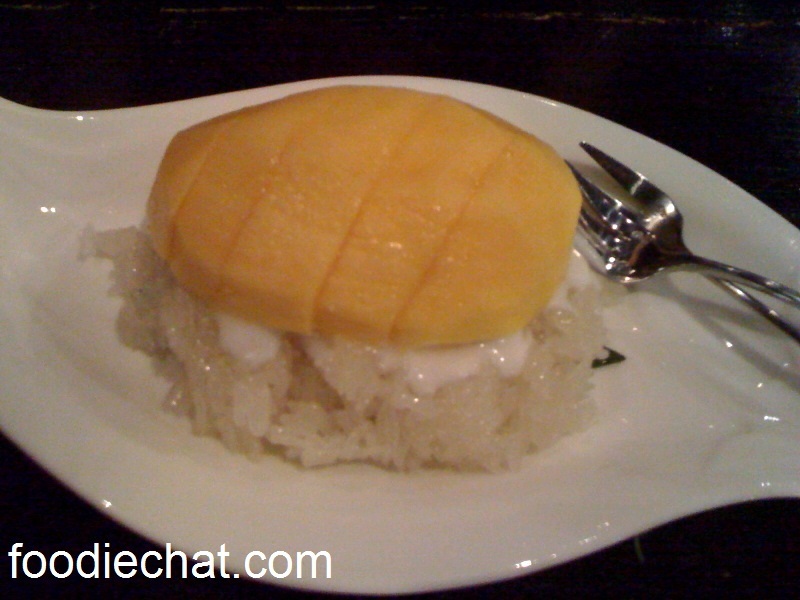 We finished off with two desserts – $6.50 for this mango (Fresh!) with sticky rice and coconut cream. Umm… not sure if the kitchen mixed up the sticky rice, because it was salty They also have sticky rice as a rice choice too. So not really a fan of this dish. Perfect texture of rice though. And definitely couldn’t go past the dessert sampler. A steal at $5.50! 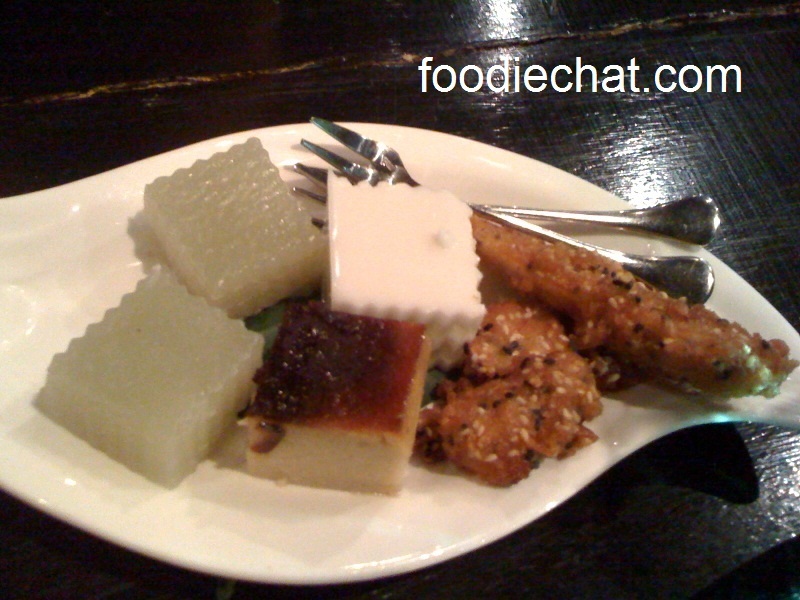 Banana fritters and various sticky rice and coconut puddings. Another word of warning – don’t wear nice clothes, cos you will STINK afterwards! But it is SOoooo worth it. I can’t wait to go again. Awesome food, and well priced too. The Haymarket dining scene is looking up and lifting up in standards! This is no ordinary sausage sizzle. Fetes and festivals are characterised by a charity gristle sausage smothered in sauce on a thin piece of no frills white bread. onions if you’re lucky. 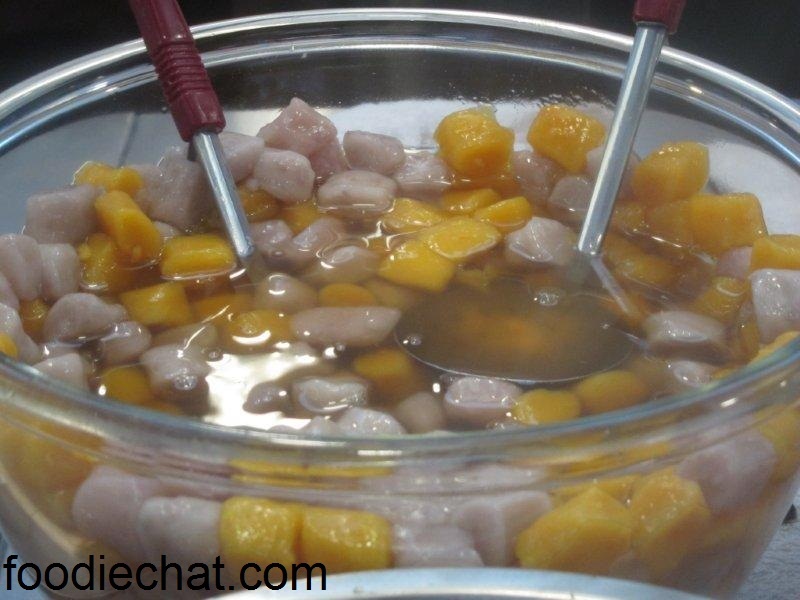 This works great – yummy, cheap, maximum profits. However, when festivals turn foodie, such a charity treat is no longer enough – not when you can get gourmet sausage rolls. 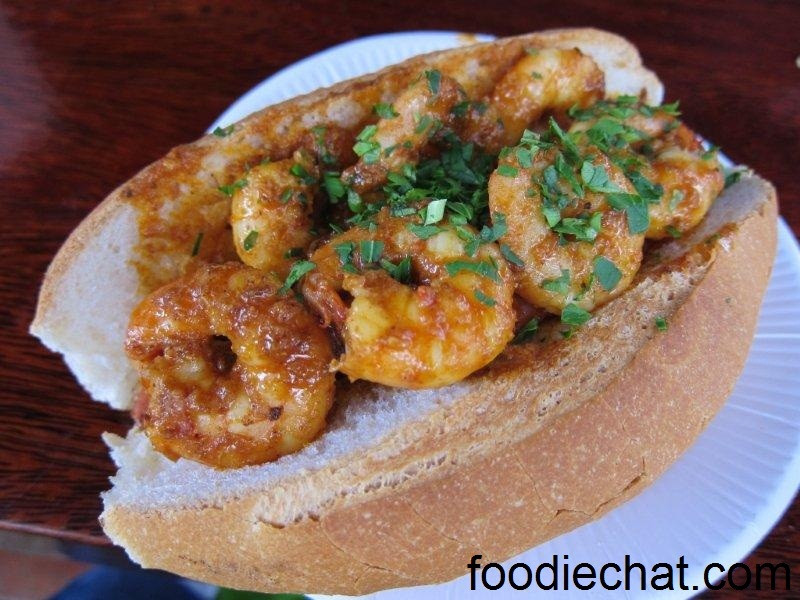 Enter the chorizo roll, or for an even more upmarket gourmet version – the chorizo and garlic prawn roll!!! 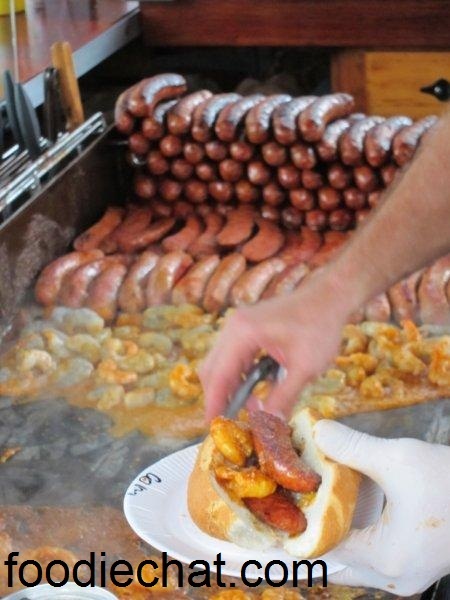 For $10, you get a halved chorizo grilled on the BBQ, and half a dozen of garlic prawns smothered in spicy tomato sauce. And garnished with fresh parsley. The dude at the grill – the master BBQ-er has perfected the rhythm of turning, cooking, filling, passing. I’m sure it’s a hot and smoky job, but we appreciate you! The result is the most amazing juicy (huge) mouthful. These guys also make an appearance the Entertainment Quarter markets in Moore Park. But I sure am hoping that they will turn up at tomorrow’s Burwood Festival. I am counting on it! 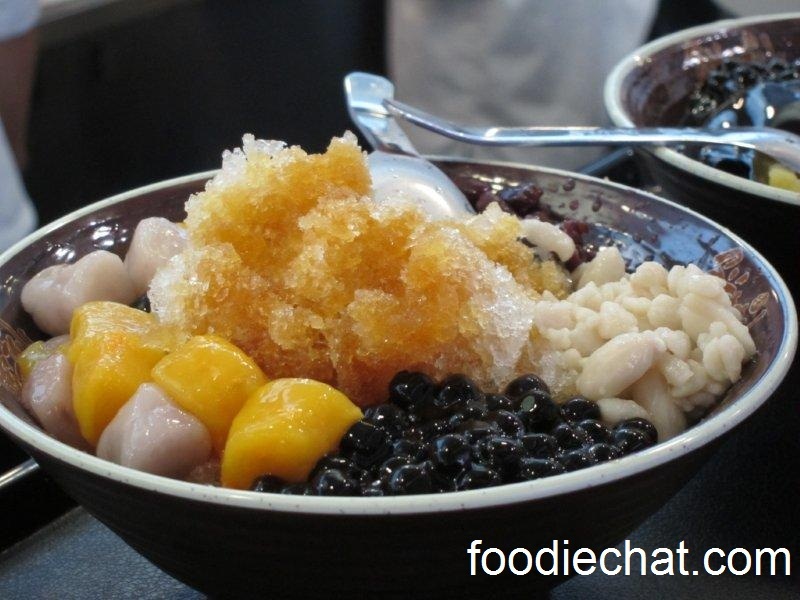 You are currently browsing the FoodieChat weblog archives for September, 2010.